If you are a homeowner, you must be aware that regularly, lots of tree debris and leaves will fill up your yard and hamper the growth of your grass. This is even truer if you leave them on your lawn throughout winter. Getting rid of these leaves is a time-consuming process especially if you are putting them in a trashcan. There’s a whole process that gets boring really fast and in fact, kind of strenuous. Now, although utilizing a leaf blower is a much quicker method of cleaning up your yard, you will still be left with a bunch of leaves to get rid of. And due to that, we want you to consider a leaf mulcher. You can utilize it in creating a compost which will be great for fertilizing your garden. Purchasing a leaf mulcher that suits your needs is a wonderful investment. There are a host of leaf mulchers in the market to select from and in this article, we have aided you in compiling 10 of the best ones certain to meet your requirements. Do read on to learn more. This tool offers excellent mobility with the cordless design. Running on a 40V battery, the device has a variable speed control that affects the duration of the operation. With a charging time of around 2 hours, you'll get an hour of use of out the device. A brushless motor which provides more power and torque powers the product. The motor also increases your time using the machine while lowering the wear and tear on the vacuum parts. In turn, the lifespan is significantly increased. Also as a result of the motor, you can use the device at a speed of 185 mph which is perfect for getting rid of dry or wet leaves. There's also an airflow volume of 340 CFM for better work quality. Another exciting feature of the machine is its multiple functionalities. You can use the machine as a vacuum, blower, or mulcher whenever you need any one of them. Further, you get various attachments for each mode of operation. The attachments include a wide tube for vacuum functions while two narrow tubes are available whenever you use the blowing function. The price of this machine is slightly above average but running on battery power has its own perks. It has a 6-speed dial and a turbo button for more power with a long-lasting quality. 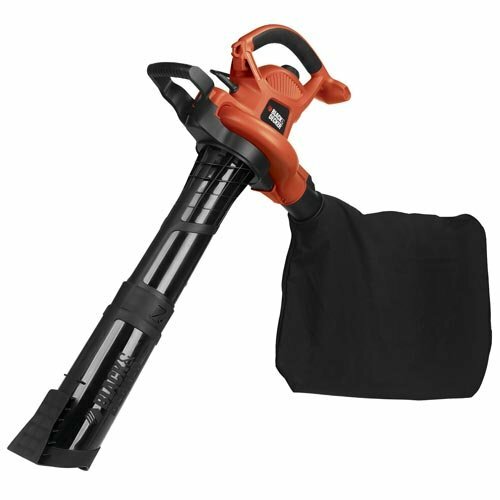 This battery powered leaf mulcher is a great choice for covering large lawn spaces. There is no limitation by cord length since you can use it for as long as the battery charge lasts. As an electrically powered option, this device needs a socket outlet and luckily, the cord is long. 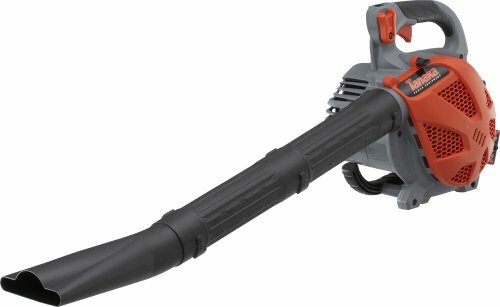 With an air velocity of 250 mph, this is great for blowing both wet and dry leaves along with an oscillating nozzle feature. Since the nozzle spins, users don't need to move their wrists around as much as the nozzle moves the air from left to right. The vacuum and mulcher functions are the most important functions to enjoy. 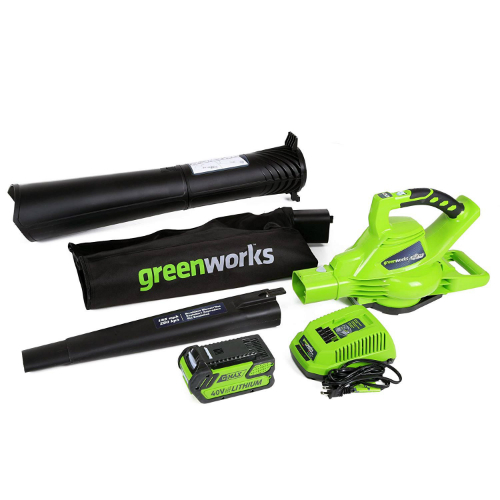 Packing leaves from your driveway or lawn manually will often result in a lot of waste bags filled with the leaves but this is not the case when using this leaf vacuum. The addition of an impeller made of metal likewise increases the worth since it thoroughly reduces the size of the leaves. You'll find a reusable bag in each package, with a zip at the bottom of the bag for easy access. Storing the cord after use is also quite simple since you can just use the cord storage hook available. A concentrator which attaches to the machine allows you to reach all the crevices and tight corners for improved results with this machine. Not the cheapest you can get, but it comes at quite an affordable rate. Spending a little below average on this product gives you access to great functions and features along with durability which ensures you do not need a replacement any time soon. The reusable vacuum bag with a bottom zipper is a nice addition to this machine. it reduces the cost of buying disposable bags and also has a large capacity. The leaf vacuum works on both wet and dry leaves so there is no need for an additional leaf vacuum in the home. With so many blowers, vacuum, and mulcher combinations, there are lots of manufacturers offering additional features to attract buyers. The Best Partner combination machine offers users the option of a 30 days money back guarantee. This gives the opportunity to test out the machine to be sure it is the right choice. In addition, it also comes with a lifetime support guarantee and a 12-month replacement warranty. Now that it’s sure that you have nothing to lose, there are a few excellent features you can find on this machine. The first is the ease of assembly. There is no need for any assembly tool which makes it much faster. It runs on a 12 amp motor with a 200 mph maximum speed on two-speed selections. Like a lot of blower/vacuum combinations on the market, this machine also offers a grinding ratio of 16 to 1 which gives more time for operation before you need to empty the vacuum bag. This is one of the most inexpensive options available on the market. What’s more? It still features the 3-in-1 design which has become popular with some of the best machines. A 30-days money back guarantee ensures that there is no loss if you feel this is not the right product for you. Just like the company name, this machine may as well be your best partner for leaf clean-up around your deck, lawn, driveway, or patio. It has a very high maximum airflow and also has a 12-month replacement warranty on the various parts. With this particular piece, you won't even feel any strain due to weight since it works at 8.1 pounds. This is despite the two options; blowing and vacuum mode. As a blower, you can get up to 250 mph and there is also the option of selecting from 2-speed levels. Now, on to the main function, you can use the machine to properly size down leaves, especially as it's possible to get a 16:1 mulch. That last part means that it can reduce leaves to mulches with a 16 to 1 ratio. The mulch goes directly into a disposable bag which is also a compostable material and attaches to the machine. All you need to do is just dispose of the bag, no need for any clean-up. Running on a 12 amp motor, the machine operates at a low noise level of just 68 dB, so you're not disturbing anybody (much). It runs on electricity with a shoulder strap that makes it easy to carry the machine around while working. Black & Decker are well known to provide great quality at an affordable price for their customers. The same applies to this option which comes with all the necessary features and accessories. All at a price that won't make that much of an impact. The inclusion of various important accessories is one of the key attractions of this tool. It features a detachable shoulder strap for easy use, a diffuser, and a concentrator for better results (overall). All these along with 2 disposable bags and a low operating noise level. 3-in-1 machines are becoming quite popular on the market and among a lot of homeowners. These machines not only offer more functionality, but they also come at affordable prices. 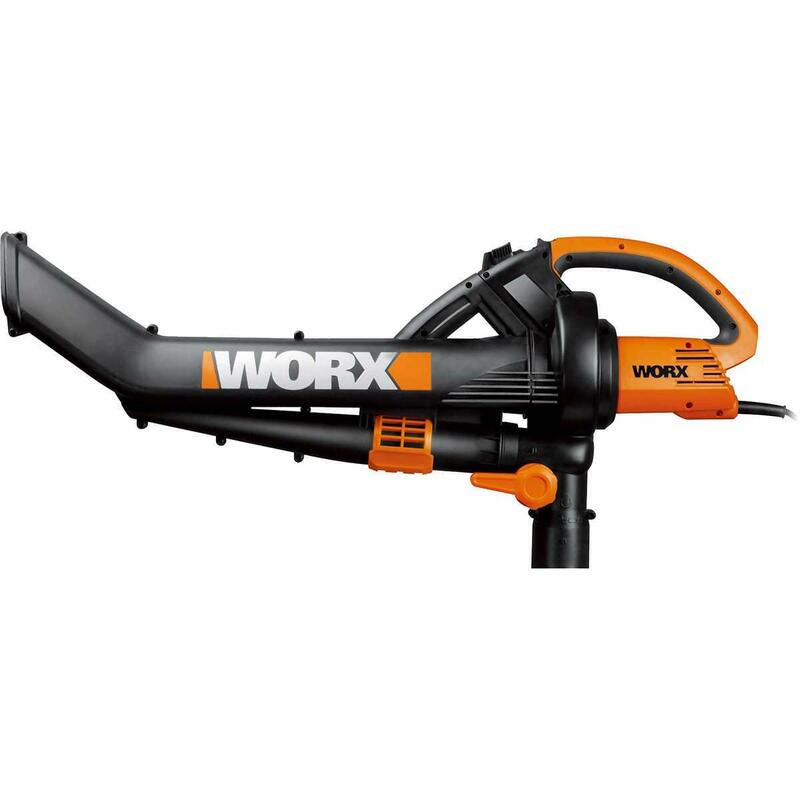 Putting into consideration that Worx is one of the industries’ finest, you stand to gain a lot in the form of a blower, vacuum, and mulcher. The machine gives you a 12-amp motor which provides you two-speed selections for flexible application. Like so, you have the option of 160 mph or 250 mph with an air volume of 400 CFM. Being lightweight also makes it perfect for long sessions of use since you won't waste as much time and energy. You'll be able to munch leaves at a ratio of 16:1 without much stress. It comes with a mulching bag to hold the mulch quantity up to 1 bushel before it requires disposal. This is another very cheap option for anyone looking to get their money’s worth out of their purchase. The functions it offers are on the same level as the more expensive ones on the market. As a combination machine, the WG518 offers an easy means of storage. It is also lightweight which is great when you have to work long durations and a one-touch conversion from blower to vacuum for easy control. 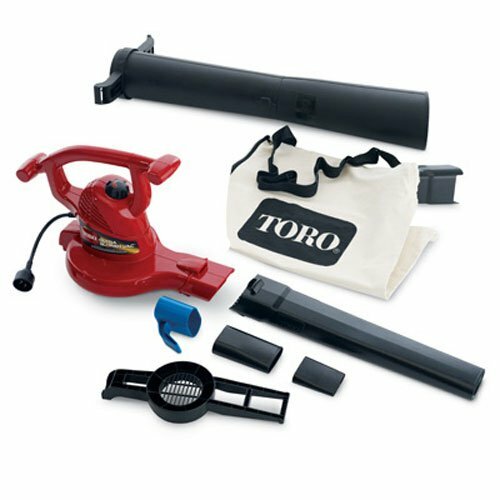 You may end up with this Toro product due to the ease of use. 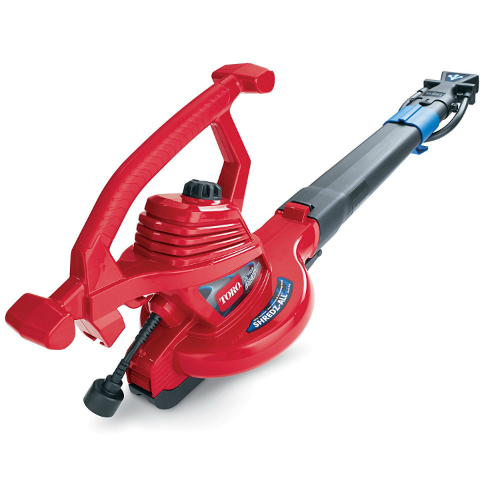 The Toro 51619 offers you a means of converting from blower to vacuum function without the need of any tool. You can quickly do this within a few seconds through the use of the quick release latch available on it. There is a metal impeller with a larger size, that in turn, leads to better mulching. Depending on the type of debris material, the mulch size of the debris can be as small as a ½ inch. To capture the debris, the machine comes with a vacuum bag which has a bottom zipper. You only need to empty out the bag whenever it's full. Another great function of the vacuum bag is for storage. After each use, you wrap the power cord around the storage hook and you can as well use the built-in lock cord to ensure that the cord remains in place. This is another great product from Toro which provides great functionality at a very low cost. A 2-year warranty on the product assures of the quality of the product and also makes it convenient to purchase the machine without any doubts. The Toro 51619 is one of the most popular options on the market. It produces mulch of very small sizes with a metal impeller that is very durable. The maximum 250 mph airspeed is a good feature for homeowners who have lots of wet leaves to clear. 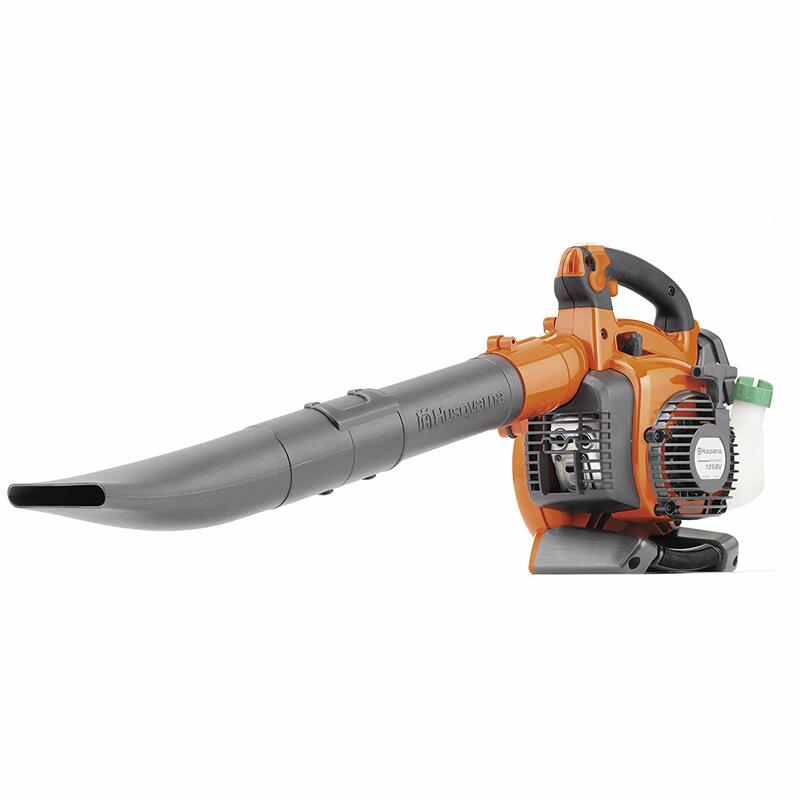 A noticeable feature of the Trivac is the ease that comes with switching between the blower and vacuum function. It is quite common to find a blower/vacuum combination machines which require additional attachments to switch to the vacuum function. On the Trivac, it is as easy as the push of a lever that can be easily accessed. Featuring a metal impeller, it has a mulch ratio of 18:1 which is better than the common 16:1. The increase in mulch ratio means that each disposable bag will likely be heavier and may slow you down when working. To correct this, the vacuum comes with an 8-ft hose to connect directly to a trash can. Lastly, the leaf vacuum is electric -powered and features variable speed controls. An adjustable strap is available to make use comfortable for you also. The WO7024 has a lot of easy to use features all coming at an affordable price. The improvement in the mulch ratio is the most significant feature of the WO7024. 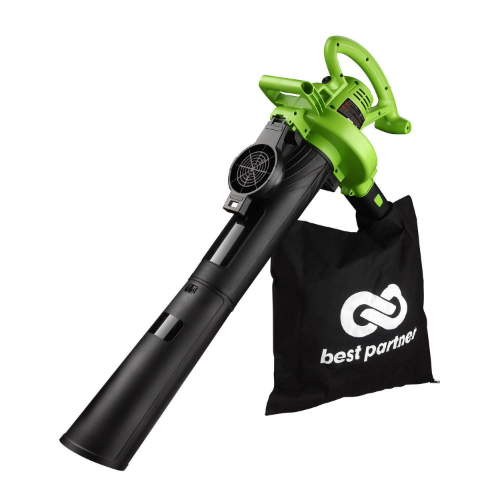 To provide the necessary support for the use of this feature, there is an 8-ft hose which connects directly to a trash can so there is no interference when there is a need to empty the vacuum bag. The Tanaka THB-260PF is available in two; you can get the vacuum version or the non-vacuum version. We prefer the former despite the fact that it does come at a higher price than the non-vacuum version. Both versions are powered with gas, there's a two-stroke engine that roars with 1.3 h.p. The noise level during operation is 68 dB and it has a 25cc cylinder displacement. With the former, the noise can be ignored while the cylinder displacement simply gives more power. As a handheld leaf vacuum device, it has a weight of 10.9 pounds though that's after the accessories have been attached for use. Still, it might be somewhat inconvenient if your sessions get too long. So, that's why there is a cruise control feature that allows you to run the machine at a chosen speed. This will (at the least) give your hands some rest. Since it also works excellently as a commercial option, it is no surprise that it comes at a high price. This vacuum capable version is more expensive than the non-vacuum capable but offers a lot of additional features. With a low smoke emission technology, you don’t need to worry about excess fumes. It also operates at a low noise level which is an important feature for a gas-powered blower/machine. Available in two versions, the vacuum option offers a lot of improvements to the regular version of the machine. Leaf vacuums are an important addition when it comes to keeping your environment clean. The Black & Decker BV6600 operates using a 12 Amp motor, powered by electricity (a socket outlet). Like a lot of other options, a variable speed control is available on the machine providing speeds of 140 to 250 mph. An impeller is the part which performs the mulching function. The material option (impeller) can be a plastic or metal. The plastic impellers are of good quality but we noticed they quickly develop cracks due to the vacuum sucking in small rocks. So, it's a pretty much good idea to choose metal impellers due to their toughness and this tool has it. Lots of options come at very affordable prices and the BV6600 is a close competitor in affordability. You get a lot of accessories with the purchase of the BV6600 and a limited 2-year warranty. Lightweight, low noise, and durability are some of the great features which are packed into this option. It is electric powered with a 12 amp motor and a metal impeller for better performance. The 125BVx has an excellent design to give ease of use and comfortability. Some of the improvements include the addition of an air purge control feature. This forces any air in the fuel system or the carburetor out of the machine. Moving on, there is also a 40% reduction in the starter cord resistance. These two improvements make it extremely easy to start the machine. This is in addition to the automatic return of the stop switch to the on position. Maneuvering the 125BVx is also very easy since you only need to handle a mere 9.6 pounds. You can hold to a soft-grip handle that is adjustable to provide maximum comfort during use. In regards to the speed, a cruise control feature can help you maintain a particular speed during operation. You finally get a lot of mulching power if you opt for this. As a gas-powered option, there are lots of benefits to the purchase of this machine. This is mostly the reason why the price is higher than average. Though, the durability and power it offers shouldn't be missed. Running on gas, this vacuum uses a two-stroke engine in its operation while still offering users a lightweight. It is a CARB compliant machine and the cruise control feature makes it great for relieving the fingers of fatigue during use. This mulcher is environmentally friendly because it makes less noise and has reduced air pollution. They are portable which makes them less difficult to move about. But since it’s electric, you require an electric outlet. With a long extension cord, carrying the mulcher around your yard would be easy without having any issues or worrying about battery run down. This is the prototype tool for leaf mulching. It is not light to carry around due to the fact that it’s powered by gas. Mulchers which are powered by gas are excellent for up keeping large areas. This type of mulcher exudes a lot of noise and so it needs to be maintained frequently. This mulcher is better off than the electric and gas leaf vacuum mulcher. Reason being that it doesn’t need an electric outlet as it’s power source. It is also very light unlike the gas-powered mulcher because it doesn’t require gas as it’s power source. Also, unlike gas-powered options, it makes no noise at all. It is costlier though and the most exclusive leaf mulchers in the market are powered by a battery. They are also known to be movable and very universal, although it has time boundaries because it’s powered by a battery. Depending on your yard’s size, it should be able to carry you for a reasonable time. The leaf vacuum saves your time. The time you actually use to clean up leaves could be saved and used for other important purposes. Also, not only does this cleaner help in cleaning up leaves, it also saves you from back pain through bending all the time. Gardening can cause serious strain which gives you back aches in the process of bending down while trying to clean up your lawn. Hence, purchasing a mulcher doesn’t only save your time, it also helps to reduce stress on your part. The amps of the motor is what decides the sum of power present in the leaf mulcher. The best option will have above 12 power amps. So if you’ll be choosing one, the least you can go for is the one with ten amps. Ensure that the mulcher of your choice can handle your lawn’s size. One with a larger capacity would be advisable if a large number of leaves fall on your lawn. In better terms, the more leaves, the higher the capacity of your mulcher. There are options of speed you can choose from. So when choosing a mulcher, choose a speed that you’re comfortable with. Though, make sure you have options too. Ensure you get an option whose blade is of a high quality (metal is good while plastic is subpar). 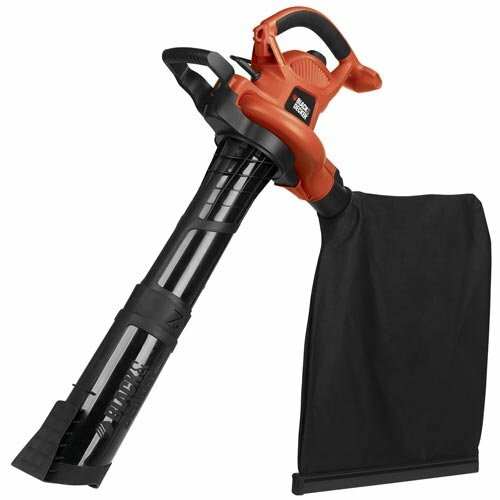 This will help to rip the leaves well in order for it to be vacuumed easily and relief you of future stress. Going for blades with low quality will cause frequents replacement before the ending of a season. In the long run, it costs you a lot of money. When your mulcher has a high reduction ratio, there won’t be a need for leaf bagging that would have been created by raking. Ensure that the to9ol you use has at least a ratio of 16:1. A mulcher powered by a quiet battery is preferable to a gas powered one that exudes a lot of noisel. You can as well go for an electric leaf mulcher that makes less noise. The same thing is applied to choosing a mulcher based on its vibration. Normally, mulchers powered by batteries make lower vibration count as compared to those powered by electricity. Though, in all cases, manufacturers usually design options with built-in dampeners to help reduce vibrations. It is good if you get a lightweight option because they’re handheld and can be easily carried around. Nevertheless, there are few industrial riding vacuums which are impracticable for usage in a normal home garden. With that said, the electric option has the lightest weight while the battery ones and the gas ones are a bit weightier. It would be difficult to carry the latter around a big yard. This factor applies to mulchers powered by batteries. From research, it is concluded that contemporary batteries can be charged to its highest capacity in 60 minutes. A leaf mulcher’s function is simple. Instead of you getting rid of all the leaves in your lawn, a leaf mulcher instead breaks those leaves (rotting or otherwise) down into rich fertilizer that’s perfect for your garden. So, it’s a good way to maximize the use of leaves that would otherwise be useless to you. There’s simply no best option since it essentially depends on your needs. All you can do is consider a few of them based on certain factors (Criteria for Selection above), and choose one that you feel will best work for you. We can define mulch itself as a layer of leaves, bark, or compost that spread on top of a soil layer to improve plant growth. Mulch also improves the aesthetic appeal of your garden or flowerbed and it aids in the control of weed as well. Still, not all mulch is natural as some people use synthetic plastic to create a layer of protection for plants against the elements. Now, the definition of mulching is to cut the leaves to smaller and thus, manageable sizes that can be applied on a layer of soil for the above advantages. You can follow the Amazon links to the products above. Alternatively, you can search for any of the leaf mulchers above if you’re interested in buying any.